Interior designers respond to the needs and constraints that influence the use of environments, for private or public spaces and work spaces. Discover our courses in Interior Design and Interior Architecture. The Visual Communication and Graphic Design Bachelor’s degree (180 ECT) is acknowledged by the Italian Ministry of Education, University and Research. The qualification is equivalent to degrees in representational arts, music, show business and fashion. Please find more details in our General regulations. Our interior design and architecture bachelor’s degree is acknowledged by the Italian Ministry of Education. 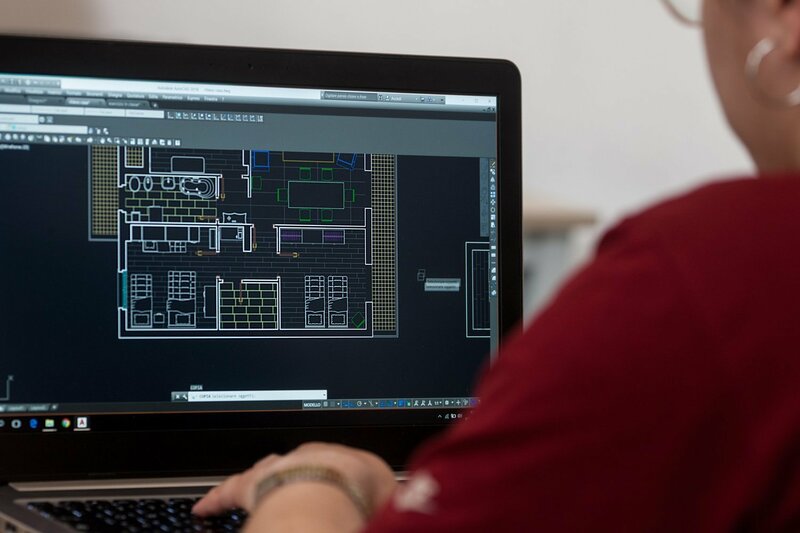 Students will master the competences they need to transform users’ needs into functional spaces and to take care of every stage of their projects. At IUAD – Accademia della Moda you can hone your skills as an Interior Designer with one of our specialisation courses.